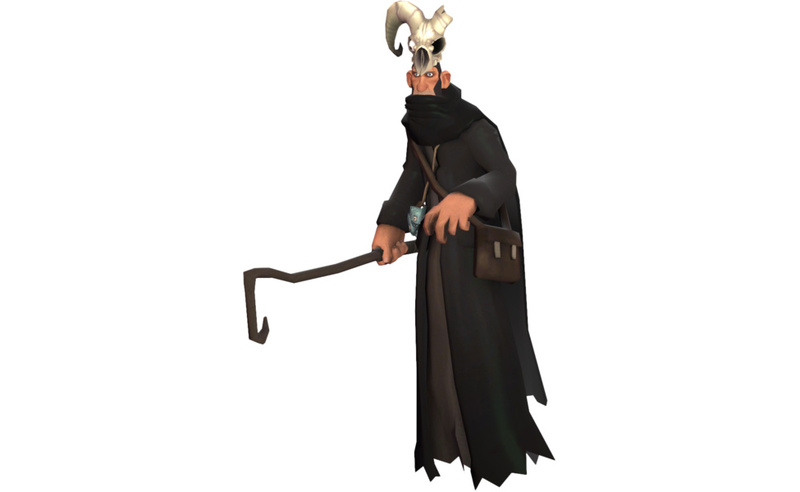 A boss from Team Fortress 2, Merasmus is a sniper cursed by something (possibly the Bombinomicon). Now he attacks both teams. 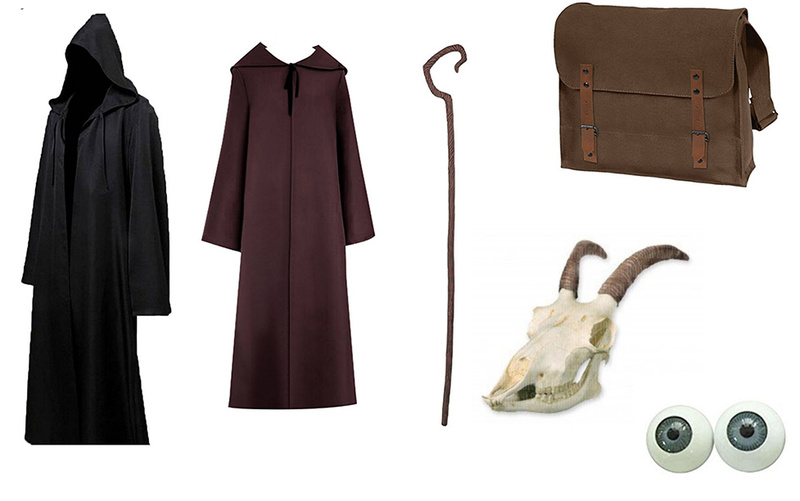 He carries a cane staff, has a ram head with one eye in it, and a black robe. 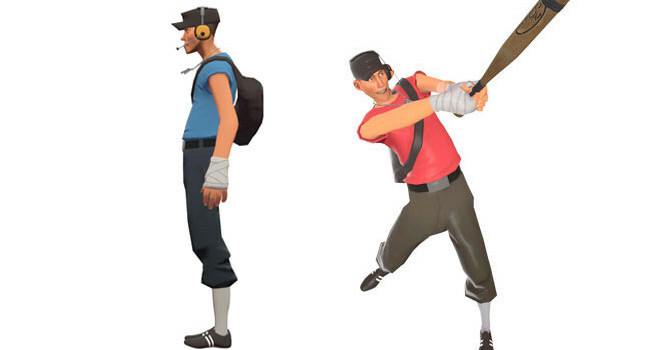 He has a terrible relationship with the red soldier, once room-mating with him. 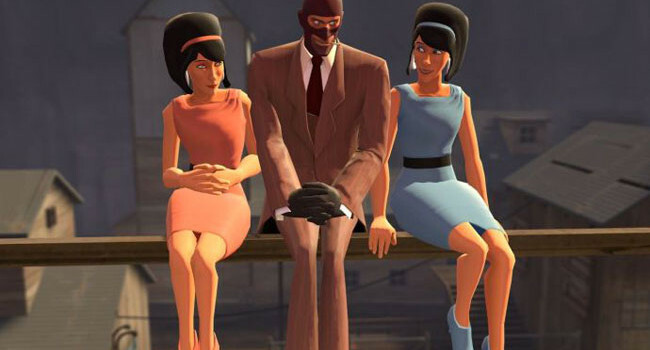 In Team Fortress 2, Saxton Hale is the CEO of Mann Co, the company that supplies both RED and BLU mercenaries with their weapons. He’s a manly Australian who’s rarely seen in a shirt, let alone a necktie. 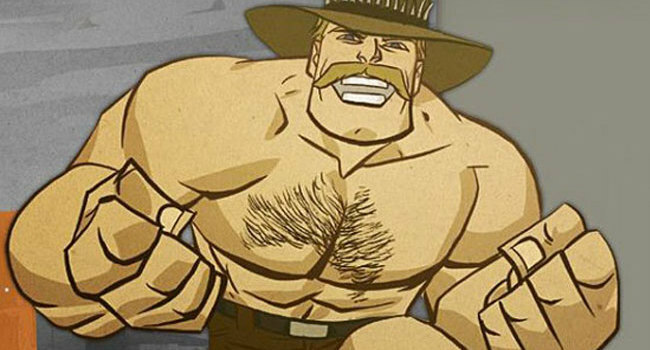 The better to show off his Australia-shaped chest hair. 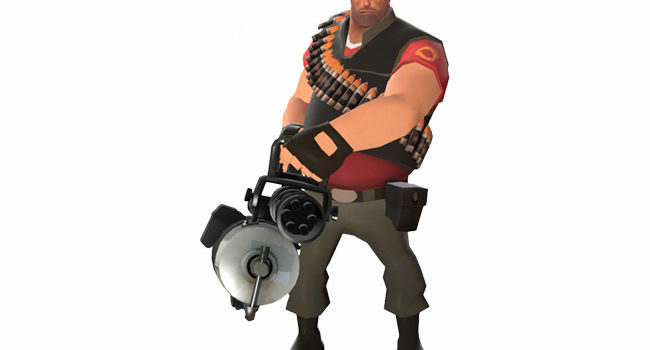 The Heavy in Team Fortress 2 is a big Russian who enjoys killing little men like Scout, and eating sandviches and exclaiming “moist and delicious!” He is the strongest class in the game, having the most health and a minigun. He will usually be backed up by a Medic, ready to uber at a moment’s notice. This is a tutorial for the RED Heavy only. 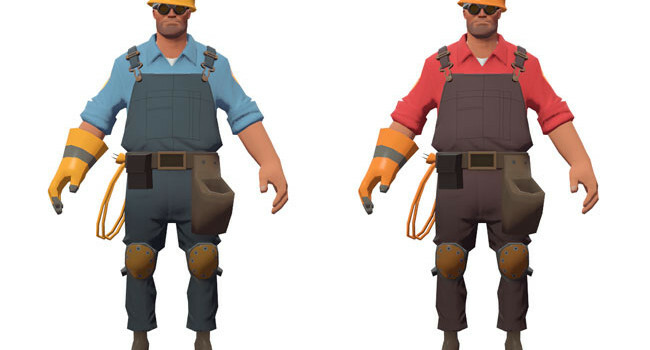 Change shirt color to blue and you’ll have a BLU Heavy. 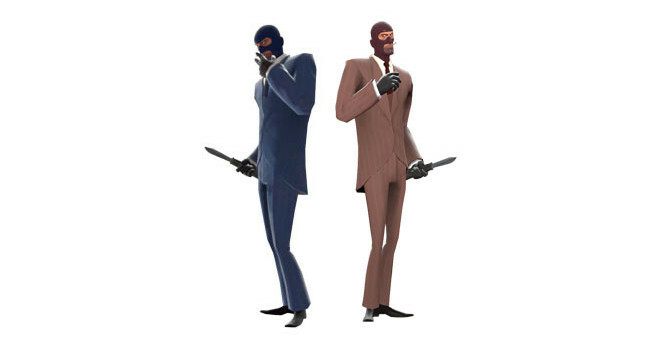 Also, a side note, please use only one of the weapons for the costume.